The Cambridge Centre for Ageing and Neuroscience (Cam-CAN) is a large-scale collaborative research project, launched in October 2010, with substantial funding from the Biotechnology and Biological Sciences Research Council (BBSRC). The Cam-CAN project is using epidemiological, behavioural, and neuroimaging data to understand how individuals can best retain cognitive abilities into old age. Physical activity mediates the relationship between age and brain structural connectivity. 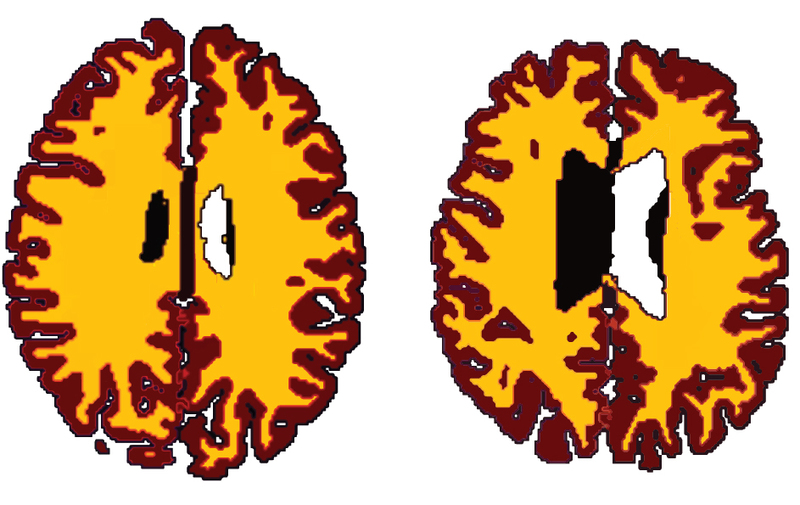 Juho Strömmer and colleagues at CamCAN found that Physical Activity Energy Expenditure (PAEE) declines with Age (left plot) and partially mediates the relationship between Age and Fractional Anisotropy (FA) - a measure of white matter health - in several brain tracts like corpus collosum (right). Cardiovascular health is associated with brain health across the lifespan. Research by Dr Delia Fuhrmann and colleagues shows that lower diastolic blood pressure, higher systolic blood pressure and higher heart rate are each strongly, and independently, associated with white matter lesion burden and microstructure in the brain. These results highlight the importance of maintaining cardiovascular health for healthy cognitive and brain ageing. Communication plays an important role for cognition in old age. How do we sustain youth-like cognitive abilities despite brain-wide structural loss as we get older? While we know that brain function may play a role in this, it is unclear which aspect of brain function is particularly important, e.g. 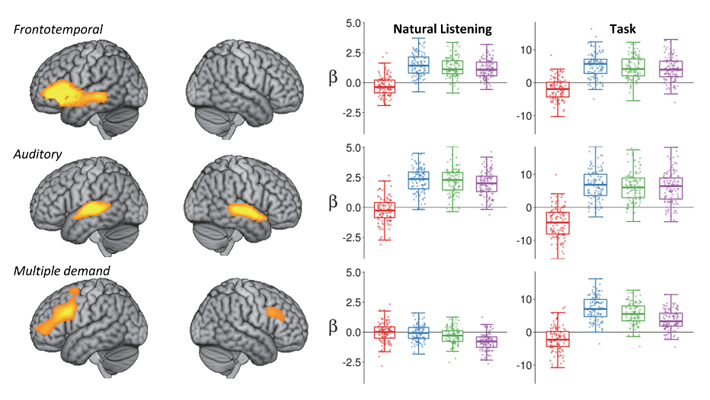 the extent to which brain regions are activated (functional activity) or the extent to which regions “talk” to each other (functional connectivity). Research by Dr. Tsvetanov and colleagues indicates that functional connectivity, but not functional activity, becomes increasingly important for performance in old age. These insights may facilitate the development of new strategies to support cognitive ability in old age. Mid-life activities protect old-age cognition against brain decline. Denis Chan and colleagues at the University of Cambridge studied 205 retired individuals from the CamCAN cohort and found that mid-life intellectual, physical and social activities made significant positive contributions to their current cognitive abilities (IQ). The positive effects of mid-life activities also appear to have a protective effect in the face of poor structural brain health. CamCAN paper wins Editor's Choice Award at Human Brain Mapping conference. 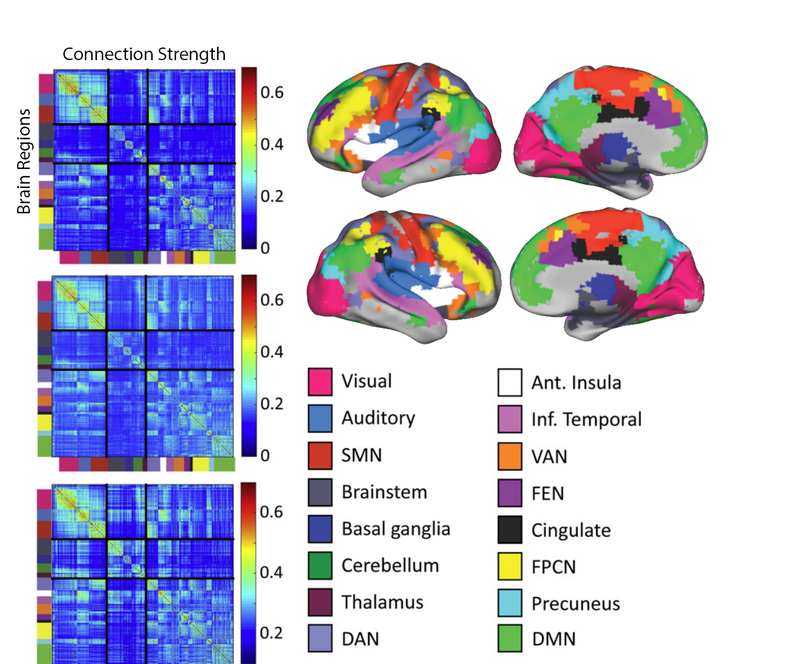 CamCAN paper wins with paper titled "Challenges in measuring individual differences in functional connectivity using fMRI"
Reorganization of relations among brain regions after middle age. Susanne de Mooij, prof. Rik Henson and Dr. Rogier Kievit investigated whether and when brain connections change with age, and how these changes map onto our cognitive functioning. Using Cam-CAN data, they observed that brain structures become less connected to each other after about 55 years of age. In contrast, the relations between language, memory and reasoning stayed the same across the lifespan. Finally, they found that memory performance becomes less dependent on a white matter network (connecting the hippocampus to other parts of the brain) in later life. Age-related increase in frontal brain activity is not compensatory. Dr. Alexa Morcom and Prof. Rik Henson investigate the elevated prefrontal cortex activity that is often observed in healthy older adults despite declines in their memory and other cognitive functions. They compare two leading models of brain ageing: that the frontal cortex is either compensating for impairments elsewhere in the brain; or alternatively, that structural or neurochemical changes lead to less efficient and less specific use of resources. Using sophisticated multivariate statistical modelling of the data, the authors present evidence of the latter explanation. Over 250 international researchers have requested CamCAN data. Age-related slowing of the brain is caused by structural decline. Dr. Darren Price and the Cam-CAN team have shown that age-related delay of the brain’s response to visual stimulation is partly explained by damage to information-carrying white matter fibres. 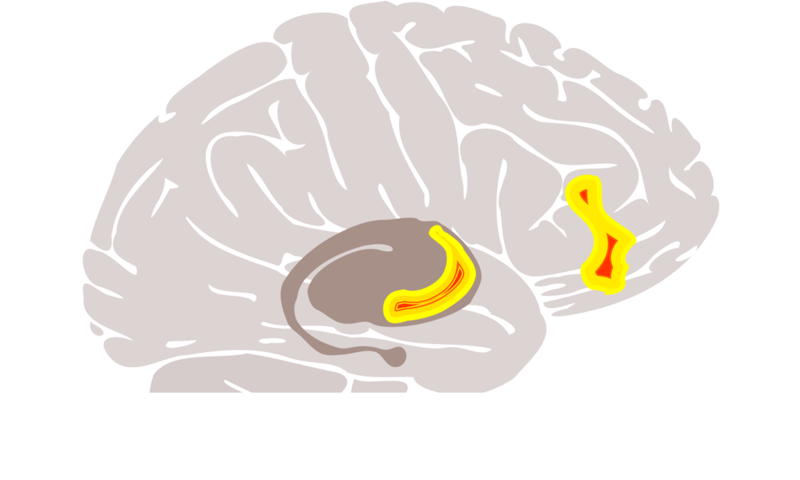 At the same time, age-related delay to auditory stimulation is partly explained by damage to grey matter in the auditory cortex. This study is the first to find such a relationship providing important clues regarding the biological origins of cognitive decline. Through new funding from the EU Horizon 2020 framework, Cam-CAN will join 10 other European cohorts in the LifeBrain project to study brain change across the lifespan. The result will be a unique multinational resource of approximately 18,500 individuals that will allow investigation of cognitive and mental health throughout life. The project provides an important example of the benefits of European funding and collaboration. Cognitive abilities change with age, but why some skills decline and others do not is still not clear. Here, Dr. David Samu and his team used data from the Cam-CAN cohort to show that responsivity of specific sets of brain networks supports different cognitive functions over the lifespan and characterizes preserved cognition in older age. These findings provide insights into why some skills are more vulnerable to age-related decline while others are preserved. The ability to solve abstract reasoning problems, sometimes known as ‘fluid intelligence’, plays a central role in many day-to-day activities across the lifespan. Dr Rogier Kievit and colleagues at Cam-CAN have studied which mental and neural differences play a role in supporting fluid intelligence. They found that mental speed is especially important. Using MRI they also found that the strength of connections between brain regions plays an important role in supporting both mental speed and agility. Mapping these three interconnected mechanisms using mathematical models will help us better understand healthy cognitive aging. How does the motor system compensate for age-related decline in sensory processing? Our ability to sense the environment is known to decline as we grow older. However, a new Cam-CAN study led by Noham Wolpe finds that the brain’s motor system compensates for this change by relying more strongly on prediction from prior experience. 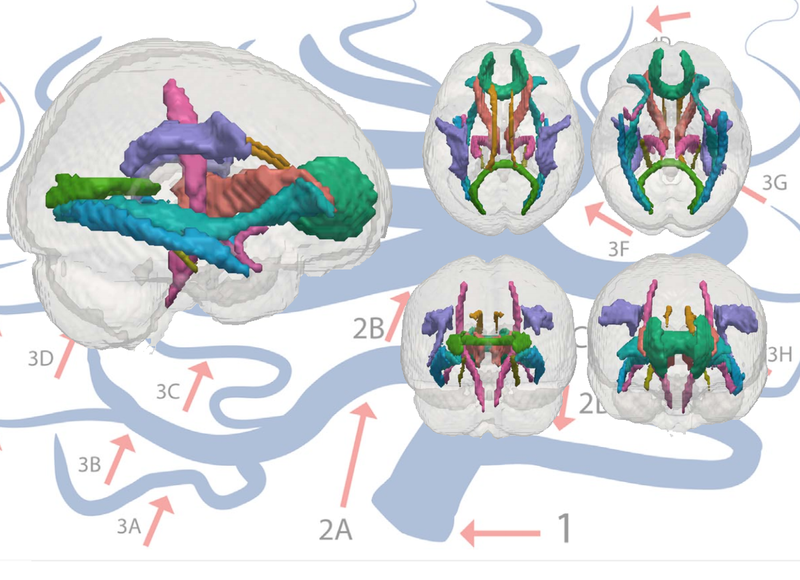 This adapted combination of sensory information and prediction depends on the age-related differences in grey matter integrity and functional connectivity strength in a key brain network for movement. Many of us experience memory problems as we grow older, but did you know that different types of memory change at different rates? 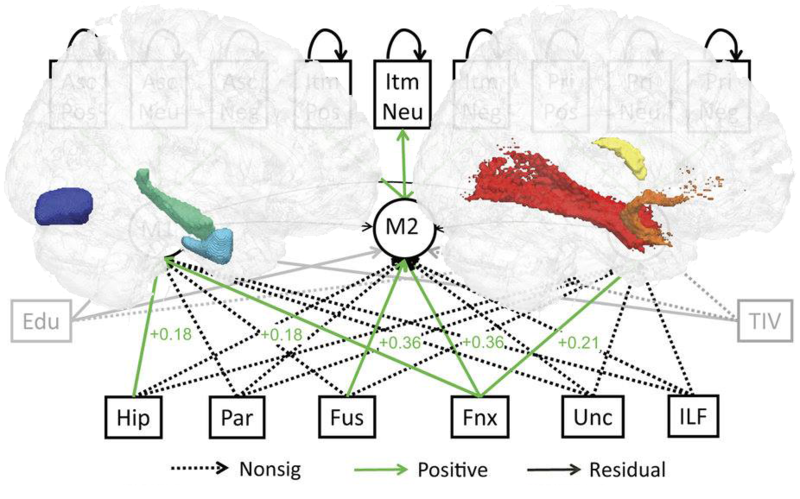 A recent Cam-CAN study led by Rik Henson shows how age-related differences in three types of memory depend on age-related differences in both the gray-matter integrity of key brain regions and the integrity of white-matter connections between them. Brains of overweight people ‘ten years older’ than lean counterparts at middle-age. Understanding spoken language requires the rapid integration of information at many different levels of analysis. Given the complexity and speed of this process, it is remarkably well preserved with age. Karen Campbell and colleagues challenge the conventional approach to neurocognitive aging by showing that the neural underpinnings of a given cognitive function depend on how you test it. Maintaining brain flexibility is critical to successful aging. To better-understand how brain flexibility influences cognition, Kamen Tsvetanov and colleagues first developed techniques to improve measurements of brain function, and then applied those techniques to show that cognitive ability is influenced by brain network flexibility in the frontal cortex. Interestingly, this relationship becomes more important with age, showing that to maintain cognition through the lifespan, brain flexibility is crucial. Using non-invasive functional Magnetic Resonance Imaging (fMRI) and cutting-edge algorithms, Cam-CAN researchers have developed a new technique to probe the communication patterns between different parts of the human brain. We hope that this technique will give us a clearer picture of how brain connectivity changes during the ageing process, and whether this has a significant effect on cognition. As greater numbers of us are living longer, it is increasingly important to understand how we can age healthily. Cam-CAN integrates across different teams of experts in epidemiology, neuroimaging, and cognitive sciences. Many of our current investigations are focussed on understanding how patterns of activity change and develop gradually over the lifespan. Although the popular view of ageing is as a process of decline and decay, new scientific discoveries suggest a very different view - one in which the brain remains flexible and adaptable across the lifespan, with many cognitive abilities being preserved. A major aim of our research is to understand the nature of these brain-cognition relationships across the lifespan, and to change the perspective of ageing in the 21st century by highlighting the importance of abilities that are maintained into old age. Our research takes a lifespan perspective to understanding how the mind and brain develop across the adult lifespan in order to preserve cognitive function. This research will include participants across the entire adult lifespan, aged 18 and up. Our aim is to understand how changes in the brain across the adult lifespan impact on cognitive functions like memory and attention. Our emphasis will be on determining the extent of neural flexibility and the potential for neural reorganisation to preserve cognitive functions. 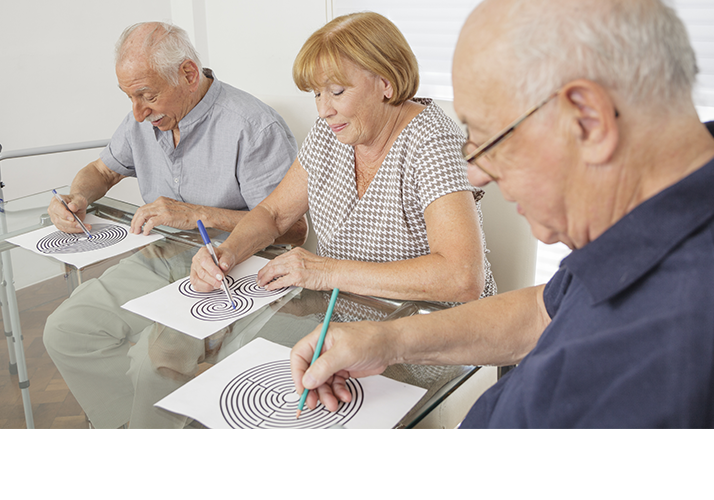 This research requires the cooperation of researchers and collaborators across the UK to provide an interdisciplinary view of the ageing mind and brain. Our core research teams include members of research groups in Cambridge including the Departments of Psychology, Public Health and Primary Care, Psychiatry, Clinical Neurosciences, and Engineering in the University of Cambridge and the Medical Research Council Cognition and Brain Sciences Unit. Over 30 project researchers and collaborators will contribute to a new view of adult development that incorporates demographic, psychological, physical, and neural measures.